Johor Bahru, JBCS - Offices for Rent. Kuala Lumpur, Troika - Offices for Rent. Kuala Lumpur, Solaris Mont Kiara-Offices for Rent. Kuala Lumpur Central Plaza - Offices for Rent. Kuala Lumpur Sentral, CIMB - Offices for Rent. Wisma Mont Kiara, Fixed Desk, For 1 pax use. Ground Floor Office Next to MRT Station-PJ Area. Kuala Lumpur, Bangsar South-Offices for Rent. Kuala Lumpur KL Sentral - Offices for Rent. Menara Keck Seng, Serviced Office, For 1 pax use, Near LRT. Kuala Lumpur The Intermark-Offices for Rent. Menara Worldwide, Fixed Desk, For 1 pax, MSC, MRT, Monorail. Petaling Jaya, First Avenue - Offices for Rent. 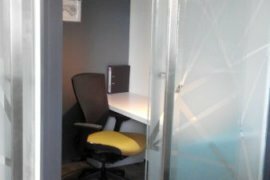 UOA Damansara 2, Hot Desk, For 1 pax, MSC, MRT. Ofis Untuk Disewa Di Kawasan Bandar Baru Bangi - Ostia Bangi. KL33, Co-Working Hot Desk, For 1 pax use, Near LRT & Monorail Station. Multiple Office Space for Rent in Salak South Garden. Petaling Jaya, PJ Exchange - Offices for Rent. Kuala Lumpur, Menara Binjai-Offices for Rent. Kuala Lumpur, Pavilion KL-Offices for Rent. Hello, Please contact me, I am interested in office and serviced office for Rent in Malaysia. Best Regards.